Search Results for "pacific islander"
AERIAL: Stunning palm tree plantation spans wide across exotic island on sunny day in summertime. Flying above countless palms in a local palm oil plantation near the seaside in the Pacific Islands. 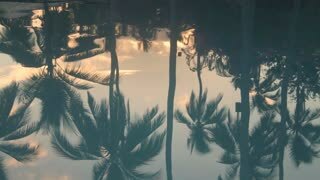 AERIAL: Flying between rustling palm tree canopies on a sunny summer afternoon in exotic Pacific Islands. Endless lush green palm tree plantations cover the picturesque tropical island landscape. AERIAL: Amazing vivid green palm tree plantations spread across exotic island on perfect summer day. Breathtaking untouched jungle covering majority of vast remote landscape in sunny Pacific Islands. AERIAL: Flying below beautiful palm oil trees at a large tropical plantation in Pacific Islands. Palm tree plantation presenting a threat to natural biodiversity in Vanuatu. Cool summer landscape. AERIAL: Flying over remote asphalt road running through endless dense jungle landscape on tranquil Pacific Islands. Breathtaking shot of tranquil tropical rainforest reaching out into distant horizon. 16. Cook Islands Flag Waving in Wind Slow Motion Animation . 4K Realistic Fabric Texture Flag Smooth Blowing on a windy day Continuous Seamless Loop Background. Panning up totem pole withtropical forest in the background at Lifou, New Caledonia. Native Hawaiian dancer performs in the distance at dusk.